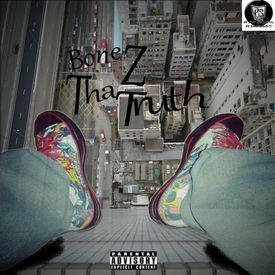 Marshall B. aka Bonez Tha Truth is the leader of the P.S. ENT movement (along side Mastermind aka 2MX). Born December 30, 1987 he's been in the game over 7 years and counting thriving to be different than what most other artist are. Many artists inside and outside of his hometown have done collaborations with him, from NC all the way to Ohio. Being one of the two leaders of the P.S. ENt movement and having many successful singles, blog site features (I NEED A HITZ RADIO, HIPHOPLEAK, DJ SMALLS HOT OR NOT), mixtape features (COAST 2 COAST MIXTAPES, AND VARIOUS ARTISTS) and a recently dropped mixtape entitled "Lost In My Thoughts", Bonez has started work on his follow up mixtapes entitled "NC-Alien 2" and "No Introductions Needed 2"